As the 100th anniversary of the Battle of the Somme approaches, we take a look at what many of the survivors would have suffered from for often years afterwards - shell shock - the aftermath of war. 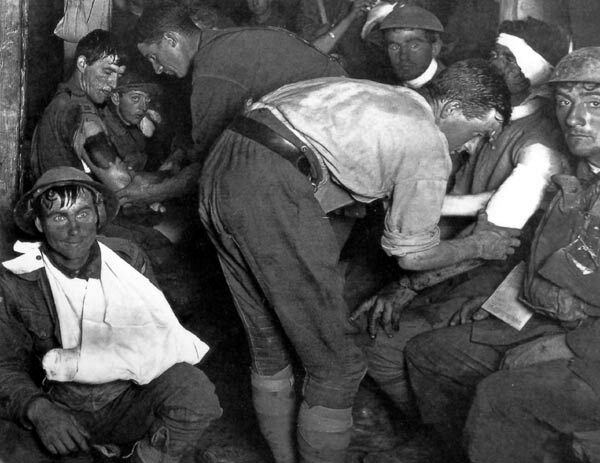 It is hardly surprising that shell shock was not always well treated in the Great War, since the key to treating any disease is understanding what causes it. The condition was not even identified as psychological at first, and its complexity makes it very hard to fathom and categorise. However, it is thanks to the Great War that war trauma began to be recognised and treated. Although men had, of course, been traumatised by battle before, this was the first war in which psychological casualties occurred in such seriousness and numbers as to cause problems in recruitment, so was the first in which army doctors took the time to explore ways of healing men’s minds as well as bodies. According to ‘Broken Men: Shell Shock, Treatment and Recovery in Britain 1914-30’ by Fiona Reid, Sir Charles Myers, a consultant psychologist with the British Expeditionary Force from 1915, first used the term ‘shell shock’ in an official capacity. It fit the assumed causes of the condition. This must be a physical affliction, with the nervous injuries being the result of the ‘wind of a bullet (or shell)’. The noise of the blast was also considered to be a contributing factor. However, as Myers became more familiar with the condition he came to regret coining such an unsuitable and medically imprecise name for it. Many men suffering from shell shock had not been on the front, and had never been near a shell, so it was wrong to imply that only people on the front were susceptible. It was too late, though. The name stuck, largely because sufferers preferred it, a physical condition seeming to them both more honourable and easier to heal. It didn’t take long, of course, for the Royal Army Medical Corps to start taking the condition seriously as more and more men exhibited symptoms of emotional distress. According to ‘Broken Men: Shell Shock, Treatment and Recovery in Britain 1914-30’, the first psychological casualties were recognised in September 1914, during the retreat from the Battle of Mons. This was while the war was still one of mobility, and as it became a trench war the sheer number of sufferers began to outweigh the taboos of such an illness. Between April 1915 and April 1916, 1,300 officers and 10,000 men from other ranks were admitted to special hospitals for those suffering from war trauma. Some British Army bases in France also had their own neurosis wards. The change from scepticism to concern didn’t happen overnight, but it helped that so many of the sufferers of shell shock were officers, brave young men from good families with impeccable records in the Armed Forces. When the ordinary soldier became shaky, erratic, irrational or violent it was seen as malingering and cowardice. When officers displayed the same symptoms they were seen to be genuinely ill. In fact, even where shell shock was recognised officers were seen to have a superior form. Sir Frederick Mott, a pathologist in London County Council who did some of the earliest shell shock research, once said, “Among officers a large proportion are pure shell shock cases, but among the men there are cases of hysterical paralysis and other signs of hysteria.” This, despite the fact that by the end of the war the officers were from all sorts of classes and backgrounds. The best soldiers might not usually be affected by the pressures of war, but this was hardly a traditional war. Never before had man been pitted against technology in such a way, and the modern weapons might shake anyone up. Take Morissey, T., 38443, Sergt.,371st Battery, R.F.A., whose actions are recorded in the ‘29th Divisional Artillery and Honours Book 1915-1918’: “Somme, 1916. – in the Engelbelmer Sector on Aug. 3rd this N.C.O. showed great coolness and courage under heavy shell fire. After the detachments had been ordered to withdraw to safety, he remained in the telephone pit, and during the height of the shelling went out and mended the telephone wire on four occasions. Again, on May 22nd, he assisted in dressing and carrying wounded to the dressing station under shell fire. On his way back he collapsed from shell shock and was removed to hospital unconscious. MM (immediate) 21/10/16.” Clearly, Sergeant Morissey could not be accused of being a coward. 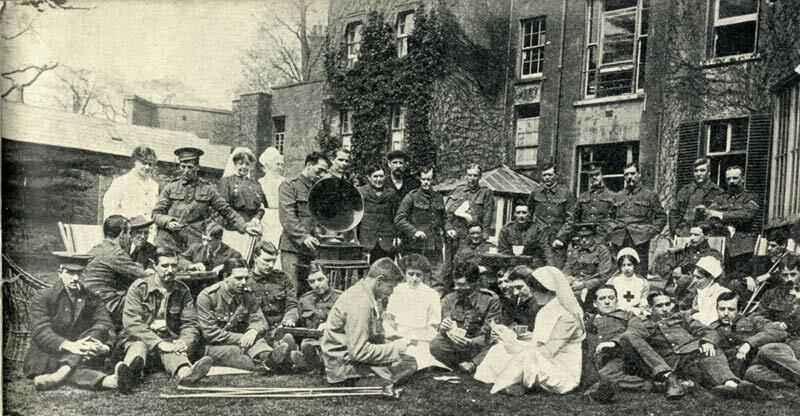 Another reason for the change in thinking was the rapid expansion of the Royal Army Medical Corps; the number swelled from 1,000 before the war to 9,626 by November 1915, and many of the civilian doctors thought the military approach to medical neurosis at odds with effective medical practice. A Captain James Dible wrote, “I absolutely refuse to cooperate in schemes for catching scrimshankers (shirkers), because in the event of a mistake such shocking miscarriages of justice would occur… This shows the innate suspicion of poor Tommy which pervades the RAMC.” He felt army discipline resulted in neglect or mistreatment, with doctors classing those with real medical conditions, such as shell shock, as malingerers, cowards and deserters. The punishment for such crimes could be death, and few of the newly recruited doctors wanted to expose a soldier to disciplinary action if there was any doubt about his condition. This concern spread to the civilian population, and from them to the politicians, and the RAMC was forced to take notice and conceded that some soldiers may genuinely have become irresponsible for their actions. Recovery did not come easily, and some men never recovered. 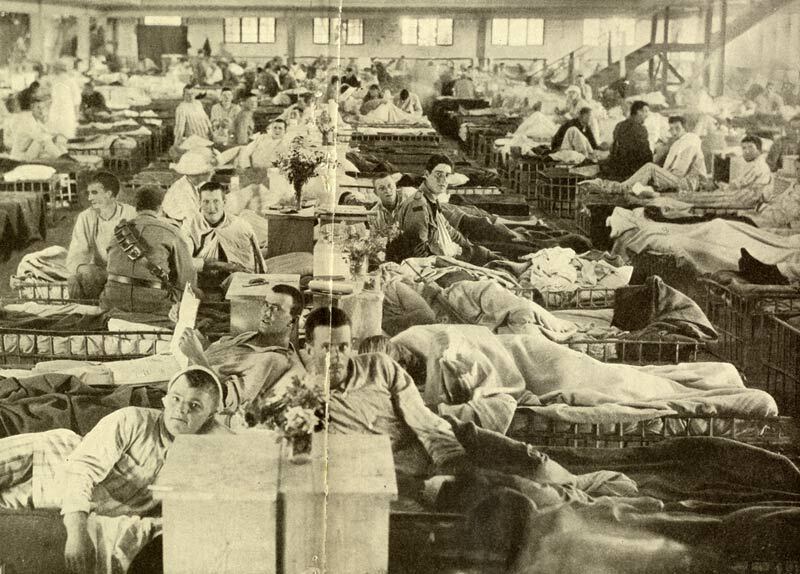 By 1928, 65,000 soldiers remained in British hospitals suffering from shell shock, although shell shock was dropped as a term after the First World War because of its unsuitability to the condition. Post-Traumatic Stress Disorder is still difficult to treat today. In February 2009 Lance Corporal Johnson Beharry, an Iraq War veteran who had been given awards for his courage, described how hard getting back to normality can be: “You can spend six months on the battlefield and you have to defend yourself every day, and then you come back to a normal life and go to Tesco and someone runs into your trolley, you have to stop and think – it’s only a trolley, you are not on the battlefield.” But the condition, once diagnosed, can these days be helped, if not banished. That’s thanks to the work of the RAMC and other organisations in researching the condition, the ESWS in raising awareness and providing support for those who have to live with it, and the men of the First World War for being the first to have the courage to admit they were struggling.